We are primarily an NHS practice but our aim is to offer you the best of both worlds. All patients are eligible to join an NHS practice irrespective of income. Our NHS exams are completed to the highest of standards with x-rays, if required, soft tissue checks and oral cancer checks. If treatment is required we will offer you all the options available and it is then your choice to make an informed decision about which treatment is best for you. 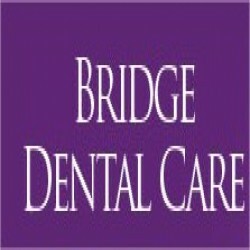 At Bridge Dental Care, our aim is to provide a relaxed, friendly environment for your dental care. As a retired Naval Surgeon Lieutenant Commander (D), the Practice Owner, Dr Gillian Leslie is used to dealing with very anxious and nervous patients. Many servicemen can spend years in the forces without seeing the same Dentist twice! Dentistry is all about trust and in order to gain this a good Dentist has to work hard to alleviate fears and nerves through time and patience. Both Dr Gillian Leslie and Dr David Hunter strongly believe that by talking to their patients and finding out their needs and concerns that they can achieve this. We aim to make your visit as relaxed and enjoyable as Dentistry can be and hope to make it fun and interactive for children. Our Dental Nurses are well known for being extremely friendly and approachable, you really can talk to them about anything and they will do their upmost to help.